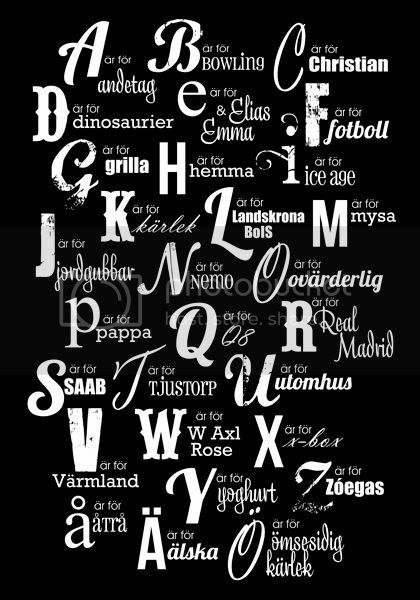 As I have shared with you before I have made a few custom alphabet posters for some babies in my family. Lately I have had a couple of people asking about the posters, and two friends comissioned me to create one for them. I have one ready to share with you today. My friend wanted a more grown up version; sleek and modern letting the letters and words do all the talking. This is the finished result. I like the combination of stark black and white with the font choices and the organic shape of the letters and words together.